From the beginning of the Grand Theft Auto series in 1997, we've enjoyed living the criminal life while tearing through Rockstar's open world cities. And after Grand Theft Auto III helped revolutionize 3D gaming in 2001, the franchise's sense of freedom only expanded, deepening the addictive gameplay and intriguing nuances. After nearly 20 years of GTA gameplay, we've picked up habits that only veterans and fans of the series will recognize. While each Grand Theft Auto has its own series of missions you have to complete in order to progress the story, the means of getting to your destination and taking out the competition are usually up to you. 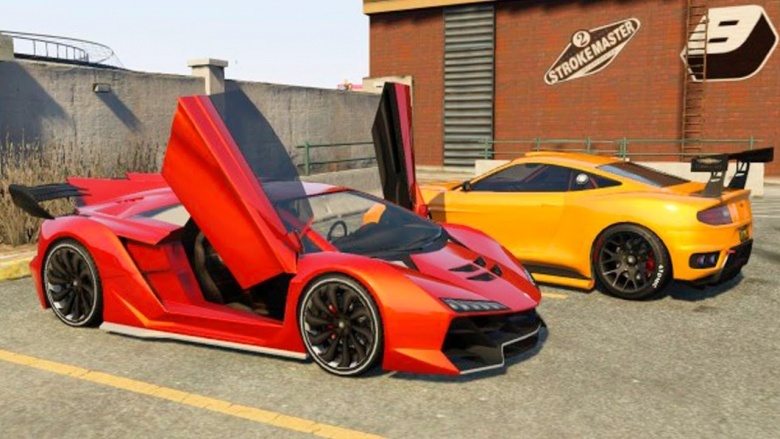 The ability to forcefully steal (almost) any vehicle you see on the street, including ones with the drivers still in them, means you have a ton of freedom when it comes to what kind of whip you're sporting down the streets of Los Santos, Vice City, or Liberty City. Going back to the top-down original, there have been plenty of times when we stopped what we were doing—even in the middle of a mission—to get a better ride. Got the timer running and you need to get somewhere fast? Ditch the taco truck you previously (and randomly) stole and commandeer that Infernus you happened to cut off. 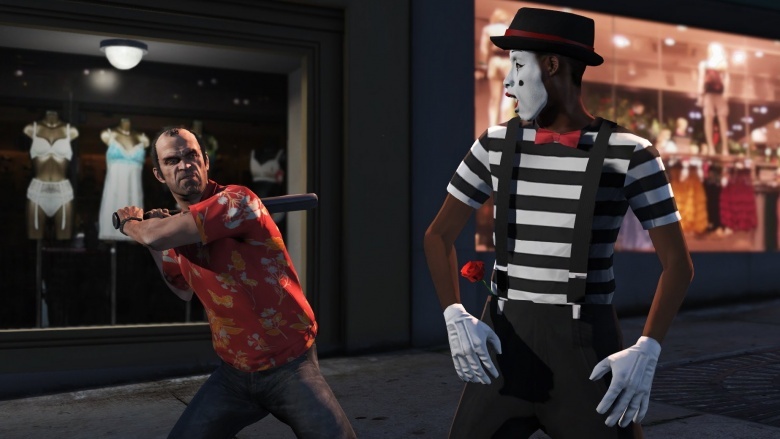 Almost everyone who's played the GTA series has gone postal on random NPCs at some point. It's pretty much the easiest thing to do before you start going on missions. Causing aimless chaos is also a great way to practice the in-game mechanics of driving, shooting, and surviving as you start to rack up your Wanted Level and encounter increasingly appropriate police responses trying to get rid of the maniac in the streets (that would be you). Of course, the freedom to cause random acts of violence is a trademark staple of the series, and it's a pivotal cornerstone of the argument made by people like Jack Thompson, who've tried to permanently remove GTA from store shelves. Just remember, there's so much more to the GTA series than going on crime sprees: you're supposed to progress the story and fulfill missions while participating in much more elaborate crime sprees—ones that don't always end with you getting wasted or busted. Rockstar always finds the best places to stick ramps into the environment—perfect for sending a speeding car dozens of feet into the air. Stunt Jumps have turned trying to find every hidden ramp hidden throughout the city into a fun side mission. It's on you to find (and land without crashing) each of these jumps. 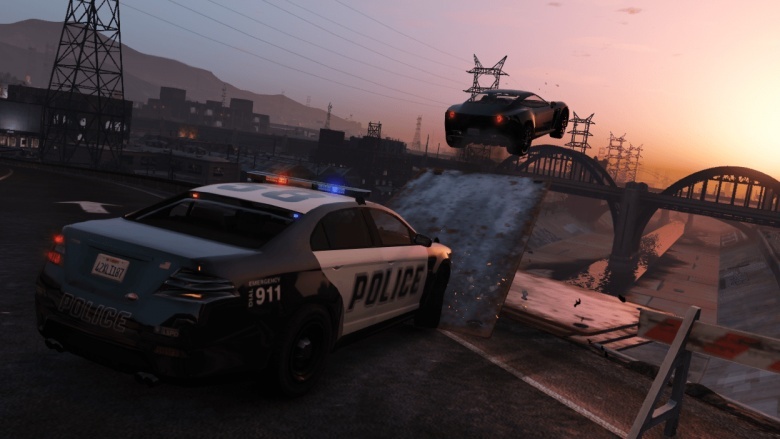 Nothing beats using one of these Stunt Jumps to get rid of a squad of police cars in pursuit, only to see them stop while a cop or two completely fail at hitting the ramp. On the other hand, there have been plenty of times where we've hit Stunt Jumps for no reason, even in the middle of an important mission, all because we want to see those awesome jumping animations where things slow down, Dukes of Hazzard-style. We've all wondered what happened to the mean mugs we've played as throughout Grand Theft Auto history. 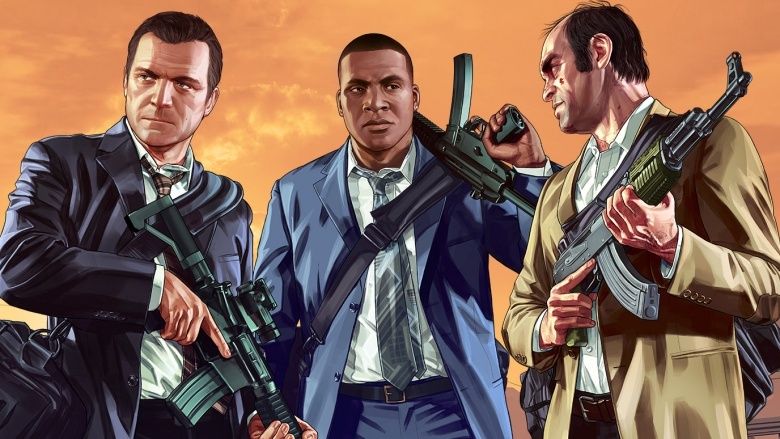 While the first GTA and its London-based expansions had a handful of protagonists, we really want to know what happened to the main guys in Grand Theft Auto III and beyond. The series has done very little to show what happened to these guys after they seemingly scored the big one at the end of each of their respective adventures. 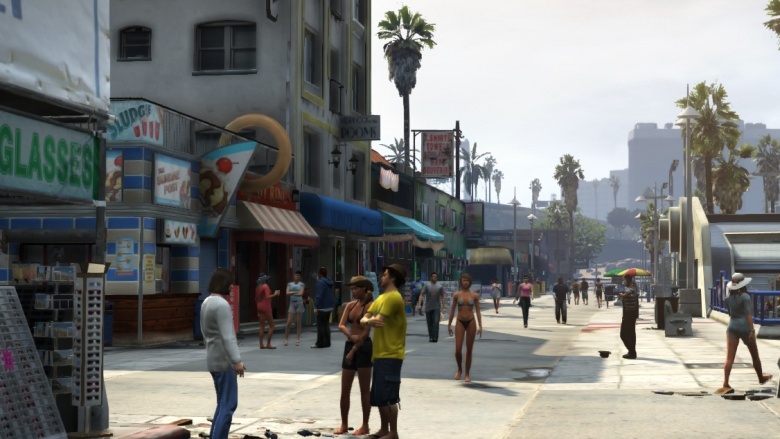 For example, in GTA V, not much is known about where Niko Bellic went after GTA IV. The game hints that he may have retired from the criminal life and may or may not be dead, but that's about it. Another example is Carl "CJ" Johnson, the star of GTA: San Andreas. CJ was wealthy at the end of San Andreas, as were most of his friends and business associates, but we later learned his Grove Street neighborhood was taken over by a rival gang (The Ballas) many years later, with little explanation as to what happened to the old crew. 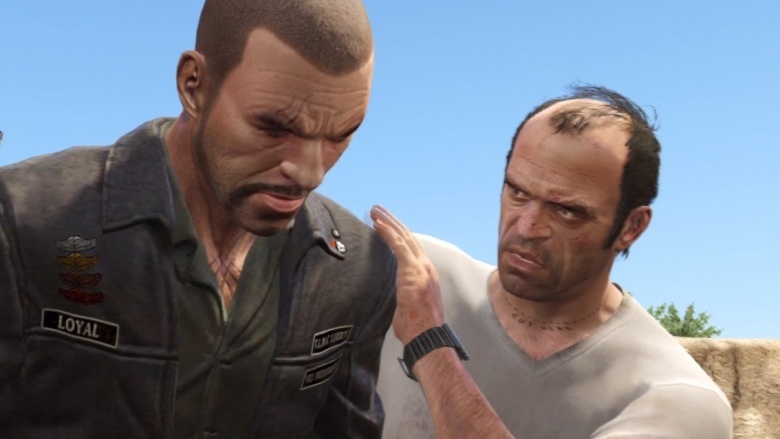 Of course, the best closure we've ever been given for a protagonist was when GTA IV: The Lost and Damned lead character Johnny Klebitz was beaten to death by Trevor Philips. We hope some of the other guys fared better. In Grand Theft Auto, you're able to pull your car into Pay 'n' Spray businesses in order to change the color of your vehicle—which usually drops your Wanted Level with the cops, since you're driving a car with a different color than the one they're looking for. 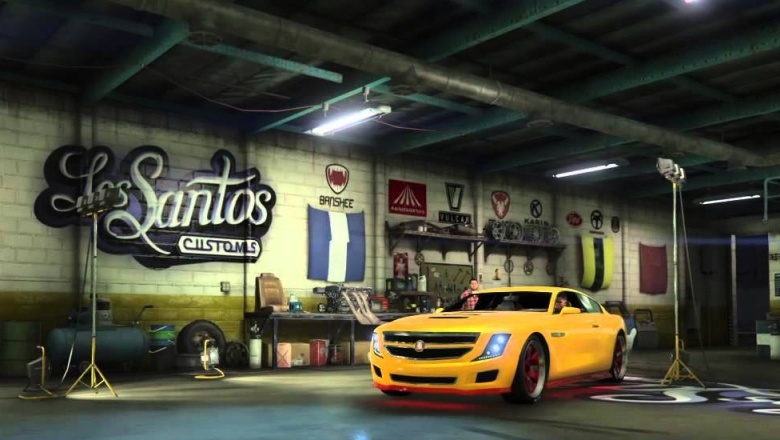 In the later games of the series, you could only enter shops to change your car color if there were no cops nearby, but there are still unbelievable workarounds. It's crazy how you could go on a warpath and just absolve yourself of all your crimes by changing your car's tint. Nothing beats leading the cops into an alley, turning a corner, and pulling into Los Santos Customs or Pay 'n' Spray, just to have the fuzz find you in a freshly repainted car and not recognize you at the wheel.